Sauropod bone structure. Cutaway computer illustration of a typical sauropod dinosaur, showing the heavy thick bones of its forelimbs that helped support its massive weight. 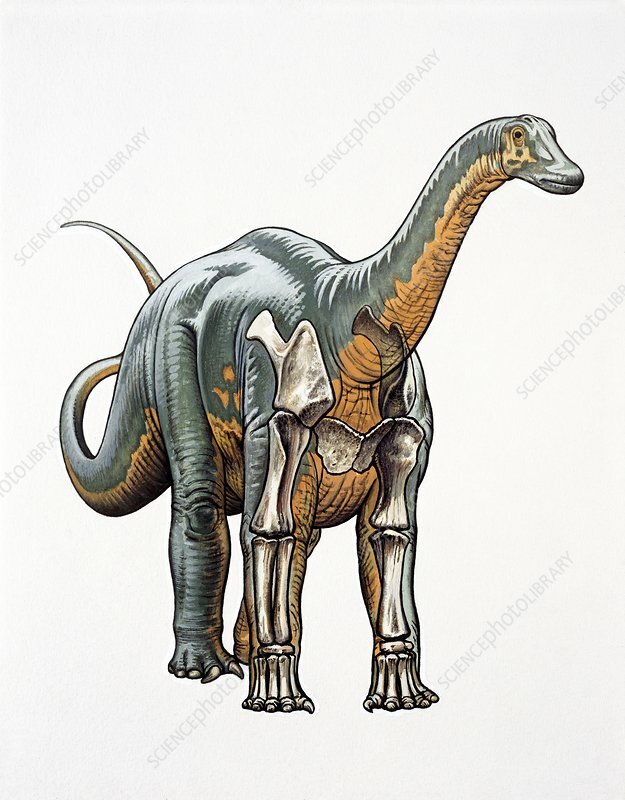 Sauropods include the well-known dinosaurs such as Diplodocus and Brontosaurus, some of which were the largest animals to have ever lived.